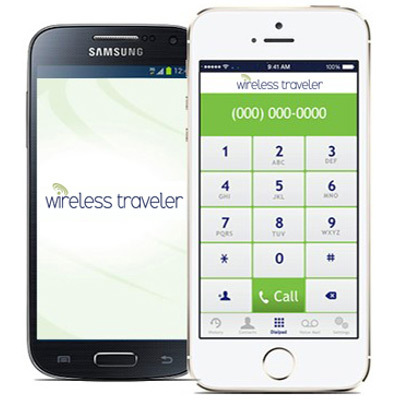 Wireless Traveler has a robust line of travel accessories that are perfect for all types of travel and all types of travelers – whether you’re traveling internationally or domestically, with family and friends, or going solo. They also pair well with our Pocket Wi-Fi Hotspot and our Wi-Fi Calling App (make calls for as little as two cents per minute or for free app to app). If you are planning a trip this spring or summer, these travel accessories will help make your vacation less stressful and more enjoyable. For Travel Advisors – Give your clients one of these travel accessories as a thoughtful bon voyage gift and make their vacation even more memorable. Enter your Agency PROMO Code for 10% discount on all accessories. 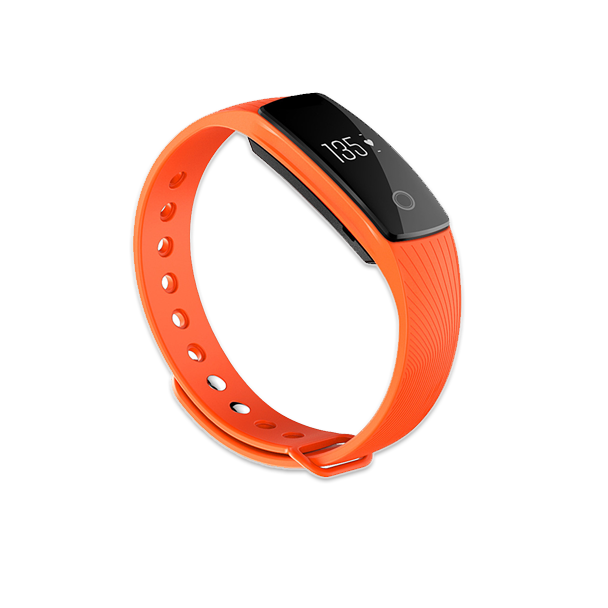 From vibrating to wake you up in the morning, checking your heart rate and how far you walked to letting you know when you have a call or message, the WT Smart Band is the perfect travel companion. It will even help you find your phone. Stay fit and track all those calories burned while enjoying Europe! If you want to add an additional SIM card to your iPhone without removing your regular SIM card, this Wireless SIM Card Adapter is just the thing. The size of a credit card, it is compatible with international and local SIM cards. Can be used with iPhones and iPads. You’ll never lose your earbuds again with the Wireless Magnetic Ear Buds. These cushioned earbuds have a magnetic earbud closure, volume control and microphone. Play time is up to 4 hours – perfect for those long international flights and for Wi-Fi calling on the Wireless Traveler App. If you have ever found yourself running low on phone battery and no place to charge, you will appreciate the 2600 mAh Portable Rapid Charger. 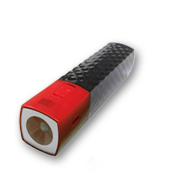 It is the size of a lipstick holder and comes with an LED flashlight – the perfect combination of convenience and safety. It works with both Androids and iPhones. 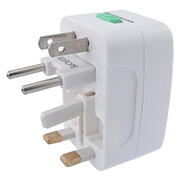 The Multi-Country Travel Adapter will handle most of the countries you visit. 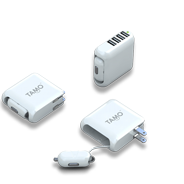 You can safely plug your electrical devices while in Europe, UK, Australia, New Zealand, Asia, Africa, and North and South America. The adapter features a surge protection, safety shutter and power indicator light. 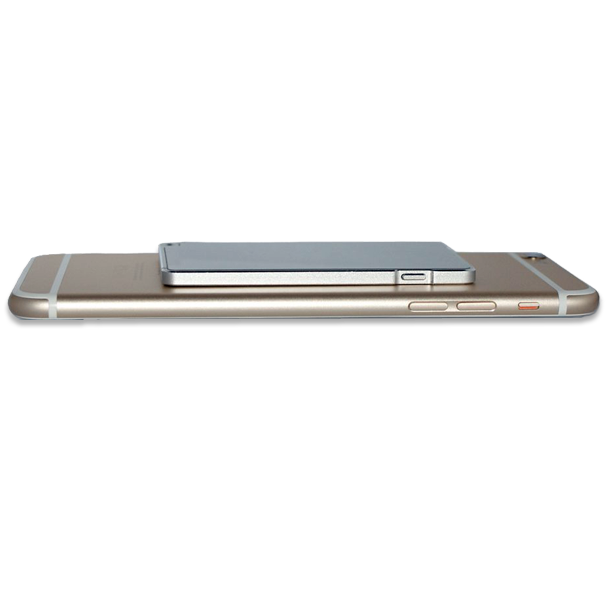 And with its compact size, it won’t take up much room in your luggage.